Atari Dismisses Turbine Lawsuit as "Frivolous"
Atari has responded to Turbine's "frivolous" lawsuit over Dungeons & Dragons Online by filing a motion to have the suit dismissed entirely and claiming that it is actually owed money by Turbine as a result of an "independent third party audit." It was revealed last week that Turbine had filed suit against Atari over the MMOG Dungeons & Dragons Online: Stormreach, claiming that Atari had not only failed to adequately promote and support the game but had also entered into a new agreement with the MMOG developer in May under false pretenses. 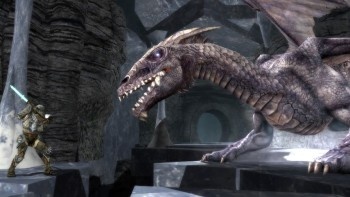 Turbine claims that Atari feigned enthusiasm for DDO and continued to accept royalty payments from the studio while at the same time planning to scuttle the relationship, presumably in favor of the Neverwinter Nights MMOG the Atari-owned Cryptic Studios is rumored to be developing. Turbine is seeking more than $30 million in damages. But Atari is having none of it. In a statement released today, an Atari spokesperson described the lawsuit as "frivolous" and claimed it was simply an attempt by Turbine to avoid paying the money it owes Atari. "Last week, with no warning, Turbine filed what can only be viewed as a frivolous lawsuit against Atari," the statement said. "This action can ultimately do a great disservice to D&D fans and to the MMO community at large." "Turbine's actions also appear intended to divert attention from the contractual obligations that Turbine owes to Atari," the statement continued. "In response, today Atari served a motion to dismiss the entirety of Turbine's lawsuit. Atari also filed a separate complaint to recover monies owed to Atari resulting from an independent third party audit of Turbine. While Atari hopes for a quick and fair resolution, it remains fully committed to the D&D communities worldwide and will vigorously protect the franchise and its own integrity in this matter."